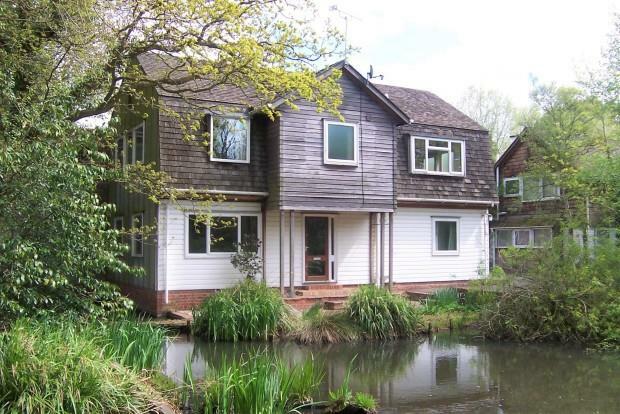 4 Bedroom Detached House To Rent in Bethersden for £1,075 per Calendar Month. Extremely spacious detached four bedroom Colt House on private development. Large reception hall. Cloakroom with basin and wc. Sitting room. Study. Large kitchen/breakfast room with electric cooker, space and plumbing for a washing machine and dishwasher; large dining area. Stairs to spacious landing/reception room. Master Bedroom with en suite bathroom with bath, shower, basin and wc. Three further double bedrooms, bathroom with bath, shower, basin and wc. Cloakroom with basin and wc. Integral garage with power and light. Private area of enclosed garden and pond. Communal gardens maintained by the Landlord. Designated parking for 2-3 cars. Oil CH. EPC E. New carpets to landing and bedrooms to be fitted shortly.